Today, business travel is more than just driving yourself to a meeting or to and from the airport. 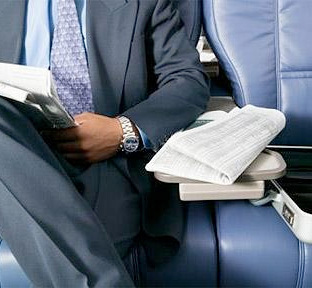 Business Travel can now be Productive Time when you use A-1 Limousine. We can provide a chauffeured sedan, SUV, crossover or van to safely and conveniently transport you from your home or office directly to your destination, giving you productivity time instead of driving time. When you need to transport a group to an off site location, you need A-1 Limousine. You can even have a mobile meeting in one of our meeting buses around a conference table. For more information and to discuss your specific requirements call our C.A.R.E.S. Department 800 367-0070 Ext 2050.